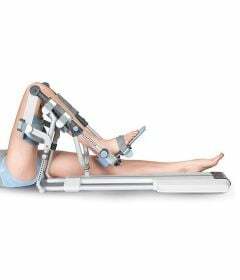 Continuous Passive Motion (CPM) devices are used during the first phase of rehabilitation following lower limb joint surgeries or traumas. 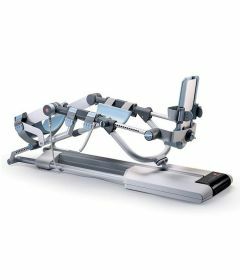 The CPM device continuously and repeatedly moves the joint through a controlled range of motion. Daily treatment increases the initially limited movement of the joint and is used to prevent negative effects of joint immobilization such as joint stiffness, swelling, poor articular cartilage nourishment, collagen loss or tromboembolic disease. The therapy ensures safe exercise throughout the healing and repair process of the tissue by providing passive movement, reduces postoperative pain and minimizes chances of inflammation. CPM also helps increase range of motion and it has favorable effect on muscle strength. CPM stimulates chondrocyte metabolism which makes it important for joint regeneration processes. Using CPM leads to reduction of the amount of medication, earlier discharge from hospital, less out-patient care and lower costs for the whole health care system. The BTL Physiotherapy CPM Motion machines offer the latest technology and best return on investment for both home users and hospital clinics. Tow models are available: The CPM Motion K Easy and the CPM Motion K Pro.